KFZE plays the biggest country hits from the 1990s & 2000s plus today's hottest songs. KFZE is our sister station in Sublette County covering Pinedale, Daniel, Boulder, Big Piney and beyond. It, like KFRZ, is Mainstream Country. Mainstream Country is the largest and most popular 24-hour music network in America. The Freeze hits the money demo with top-shelf personalities, weekend specials, lots of daily features, topical information and one-of-a-kind promotions. KFZE is also your home for the Denver Broncos. The Radio Network started as KUGR in 1976 and has been under the same management since it’s inception. After ten years, KYCS was born and went on air in October of 1986. These two sister stations were named “The Broadcast House” and carried the company for another 10 years. 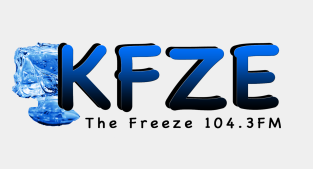 In 1998 The Radio Network’s first country station came on board and KFRZ “The Freeze” was introduced. The fourth and final Sweetwater County station, KZWB, hit the airwaves June 1st of 2005. After it went live “The Broadcast House” became “The Radio Network” and remains the name for the station groups today. The youngest and most recent station, KFZE went on air in 2014 and covers Sublette County, Wyoming. The Radio Network is a family-owned group of radio stations in Sweetwater and Sublette County reaching widespread listeners across southwest Wyoming. Having been in business since 1976, we pride ourselves on excellent customer service and giving our audience the best product we can. 5 stations bringing you everything from country, to classic rock, to today’s top hits.